Welcome to my personal Down Under portal. Morning all. Welcome to all new members. REMEMBER! If it is to be. It is up to me. 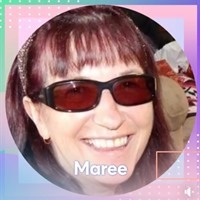 My name is Maree Wells. Yes surfing and earning from good old New Zealand since 2009. I am a freelance writer, designer, supplier, of everything affiliate marketing related. Teaching my customers how to build a better shopping and selling experience with viewing My gigs on offer for programming-tech e-commerce-services, development, marketing, E-Book, short course modules with video reviews. These Video's and Training Articles cannot be found anywhere else, because I have designed them and hold the copyright to them! I am ready to help you meet the goals for your business, whatever they (or your business) may be. Can inside access to all my training video's and articles. Register to receive my Free boot camp training series. A real business with real earnings.